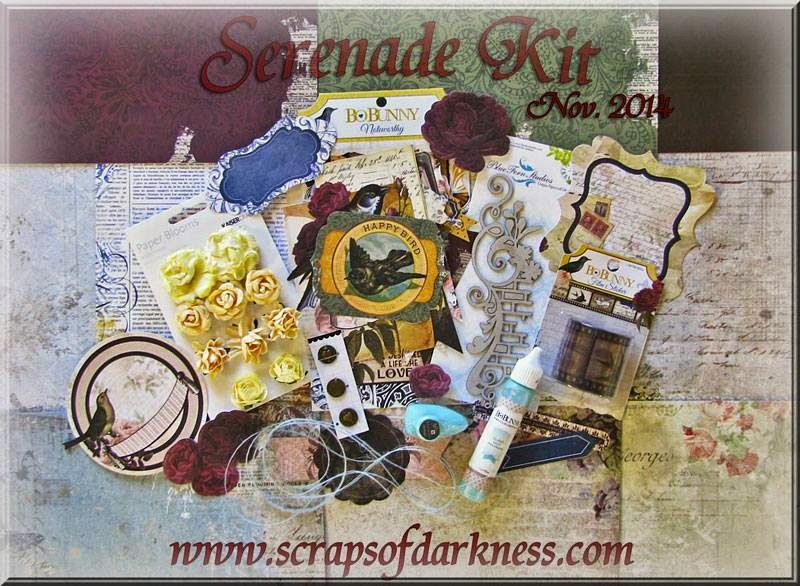 Welcome Sweet Friends, Scraps Of Darkness November Kit "Serenade" is here and it's a fantastically beautiful kit!! It's full of Blue Fern Studio's "Sanctuary" Paper Collection along with Bo Bunny's "Rose Cafe" Paper Collection and tons of pretty goodies!! Here's my first Design Team Project using the "Serenade" kit. This kit just screamed shabby chic to me so I gave it a go! 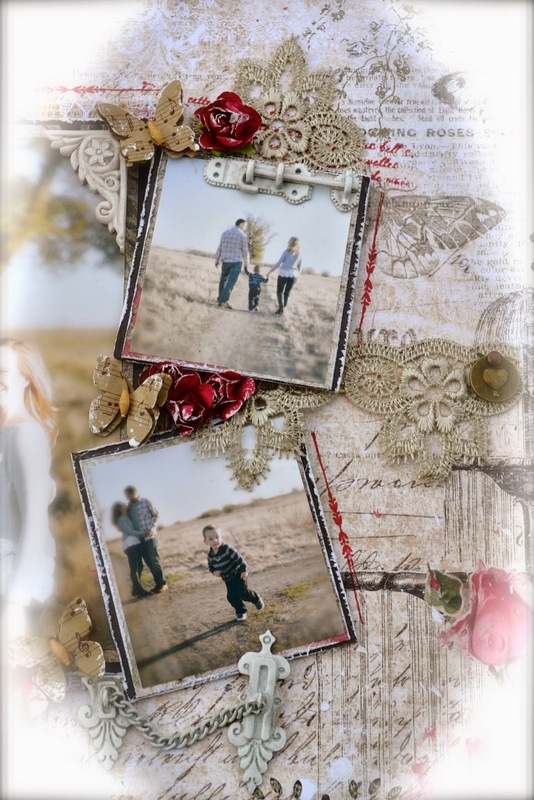 This is a layout using some photos of my niece and her family from a photo shoot this Fall. I used the amazing Blue Fern Studios "Sanctuary" papers for this project along with some of the Dovercraft "Curiosity Corner" paper flowers and some of the beautiful canvas flowers from Prima included in the floral add-on. I also used the Prima Shabby Chic Treasures door locks from the kit. To alter the chipboard from Blue Fern I used the Bo Bunny "Bronze" spray and the StazOn Black Cherry from the kit. Thanks for stopping by and taking a peek and I hope you enjoy and are inspired to grab a kit and create some beautiful project for your family! !